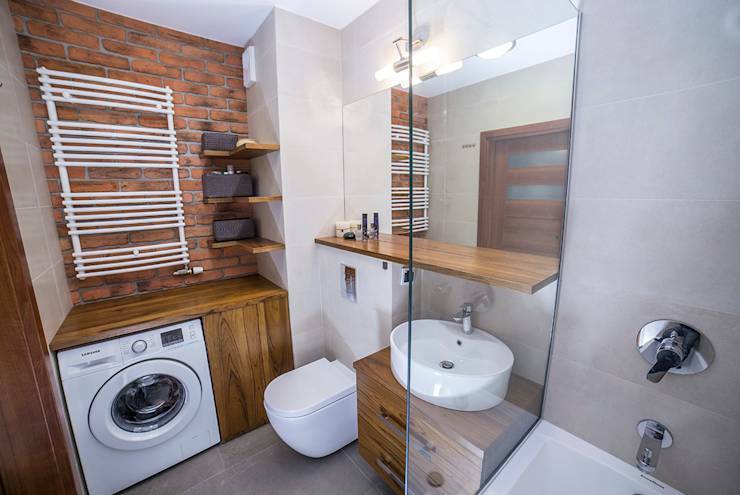 Small bathrooms have a charm that no other room can have with such little space. They are cozy and create the feeling that you are in your own private world. While smaller spaces seem like they are difficult to design in a functional and stylish space, bathrooms are simple to work around. So don’t let your small bathroom be the cause of all problems, here are a few beautiful and creative ideas to take your small space and make it into your own private sanctuary. 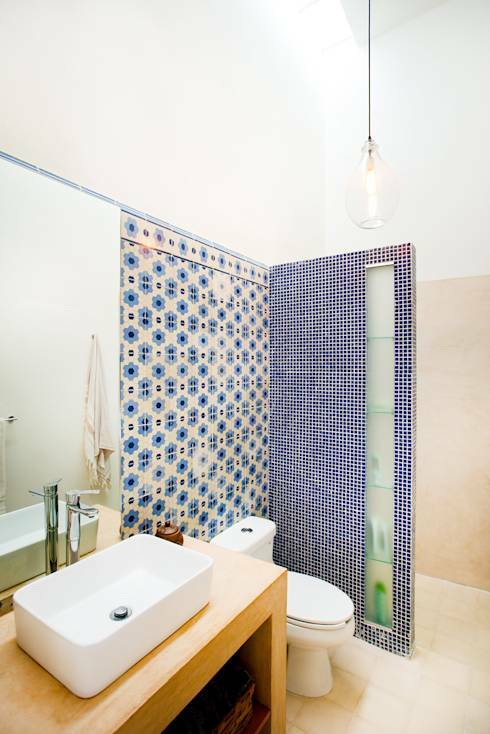 Tile is a great way to really brighten up a space and make it seem larger than it is. Choose a creative or funky tile to make a beautiful mosaic pattern or design for a burst of color and creativity in this small space. An accent wall will make the bathroom look bigger by naturally drawing your attention to this area. Achieve this look with wood, stone or even a simple coat of paint to highlight your chosen wall. Make use of the awkward construction by adding creative features, like a sink and vanity that are at the same angle of the wall. Have fun with different materials and styles to slide out of an awkward situation. Using different textures and materials will add more dimension to the bathroom making it look larger. 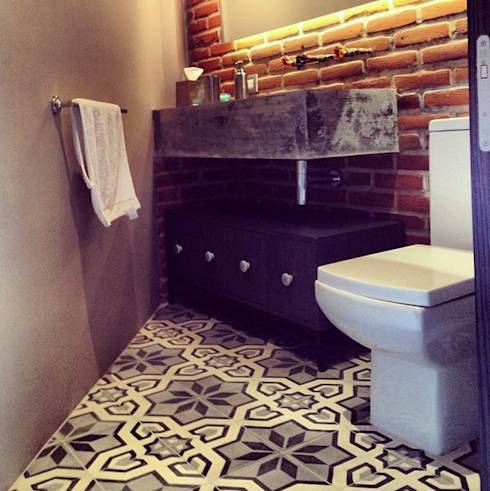 Use wallpaper, stone tiles, and even wood to achieve an eclectic mix of materials and create a very unique bathroom. 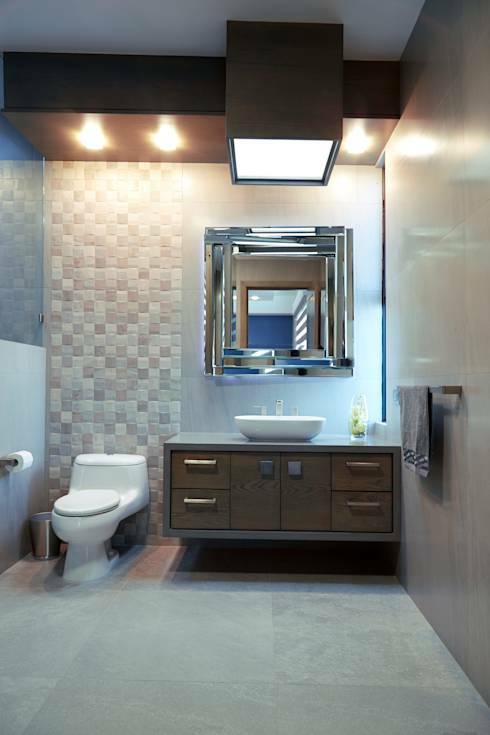 For example, this bathroom uses a mix of wood, glass, stone, and tile to enhance this bathroom. 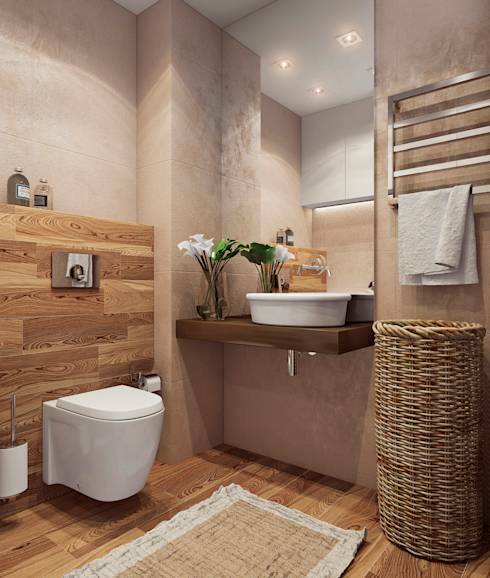 Wood is a great material to use in a bathroom, though many people shy away from it. It creates a cozy feel and pairs wonderfully with white features, giving the bathroom a cozy, cottage vibe. Use the same type of wood for the main features, such as floor, vanity, and shelf to have a cohesive flow in the space. 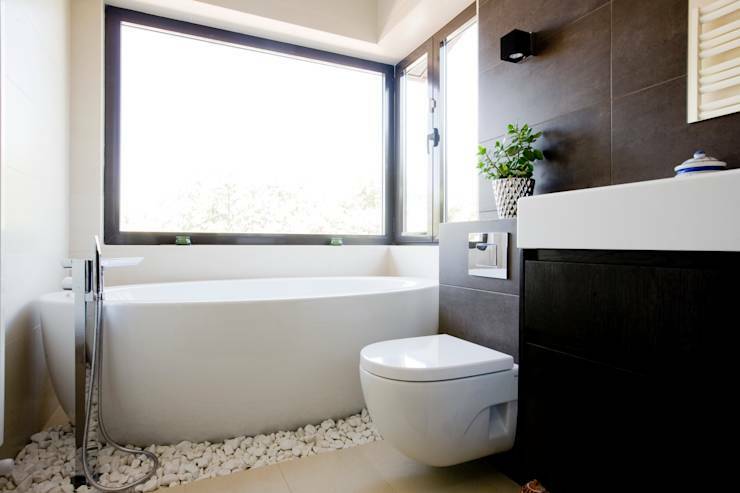 White is a great color for a bathroom and will make it feel much larger than it is. 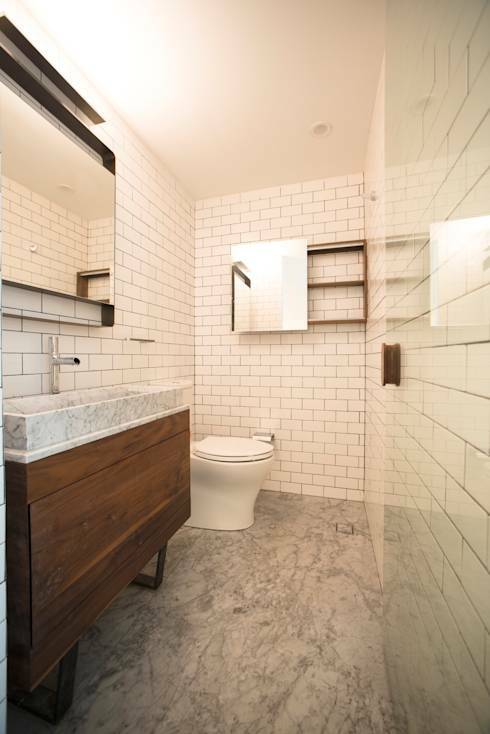 Painting the walls white or covering them in subway tiles will expand the space visually. Feel free to mix different materials, as well, that follow the same color scheme, such as marble which plays off the white while giving the room texture. Wallpaper has come a long way in the last few years and is a great way to achieve a detailed look in any room. Choose a fun wallpaper to cover your whole bathroom and pair it with a unique fixture to make your bathroom stand out from the rest. Lighting is a great way to brighten and accentuate any space. Use creative lighting in the bathroom to give your small space a larger feel. 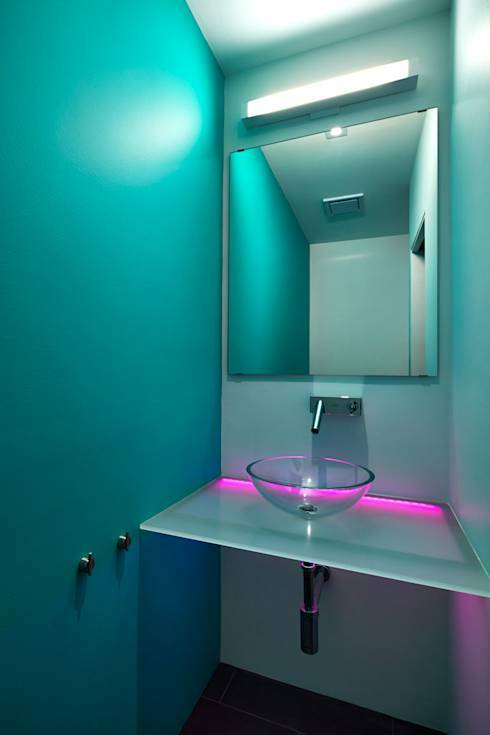 Think outside the box, as well, by using LEDs to light the spaces under the sink, tub, or even behind the mirror. 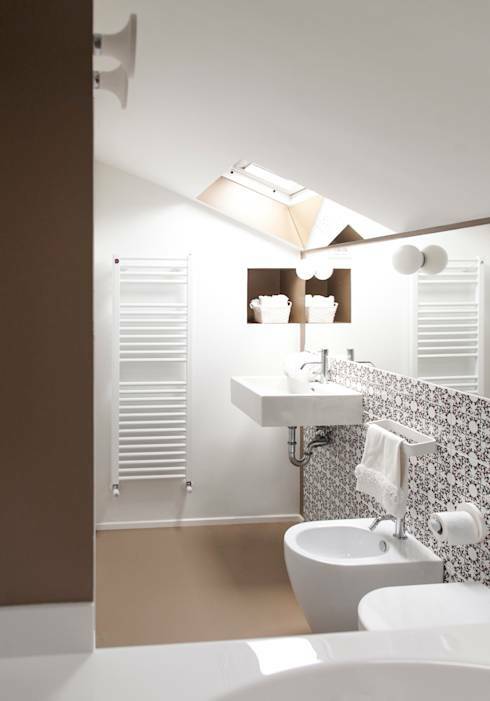 Minimalism is the perfect way to increase the space in your bathroom. Adding features that don’t have any exposed parts will give the illusion of more space, for example a sink with no piping shown. Transparent glass showers are also a great way to make a bathroom seem larger and mirrors with built in lighting reduces the space needed for lighting. If you don’t have space, make it! Give the space more storage with vanities, shelves and cabinets to make sure you can store all of the essentials. Choose one material, such as wood, to build so that the space looks cohesive and not cluttered. Mirrors instantly gives the appearance of a larger space, so what better place to add a large mirror than the bathroom! 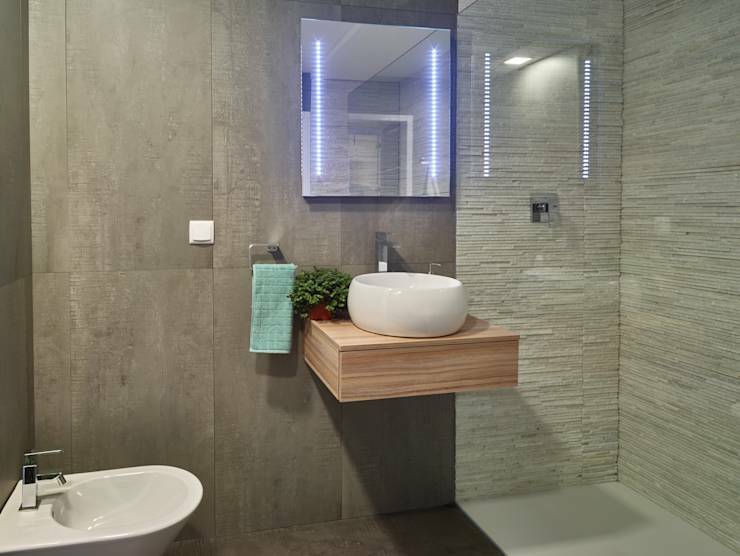 Line a long wall above your sink and toilet with a frameless mirror and add a creative tile or wood beneath for a beautiful look. Add lighting on the mirror to reduce clutter and to light up the space. 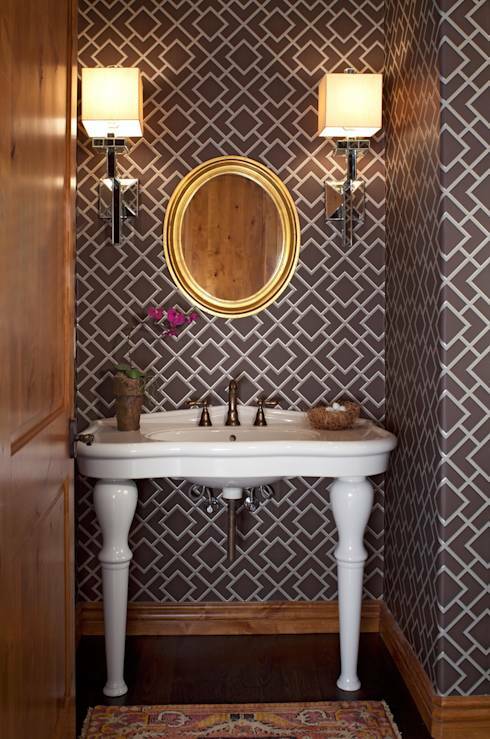 Having a focal piece in your small bathroom will create the illusion that it is bigger. 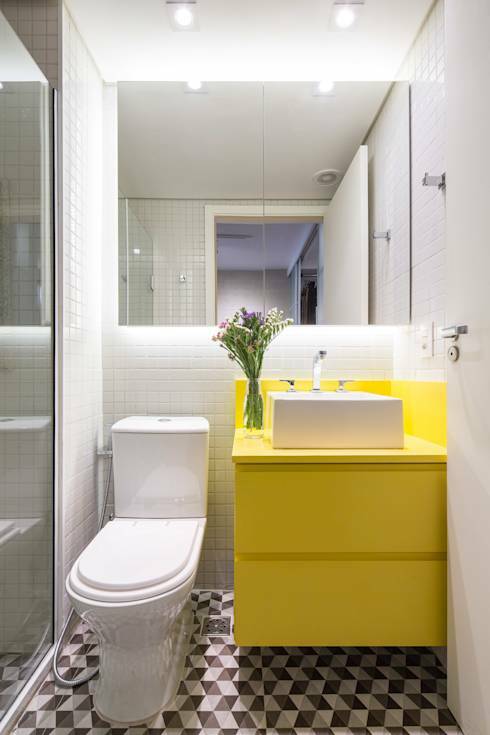 Choose one bright color for a feature piece, such as a toilet or vanity, and keep the color of the rest of the bathroom uniform, white is great in this case! Natural light is the best way to make a space seem more open. 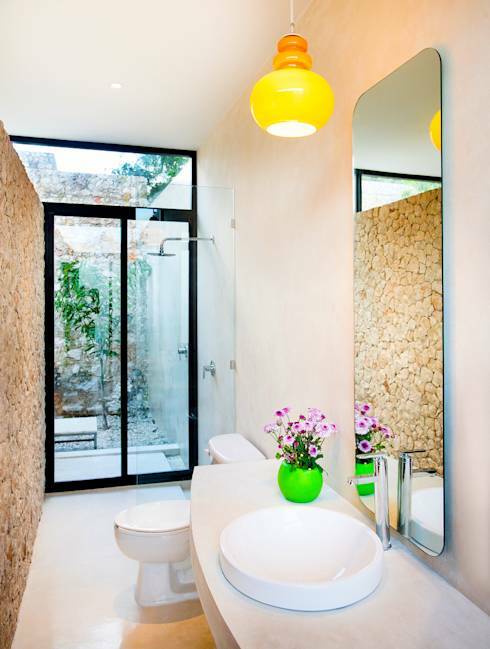 This can be done in the form of windows or skylights added to your bathroom and will create an airy feel.